Fr. a: Stemmed cup made from three gathers. 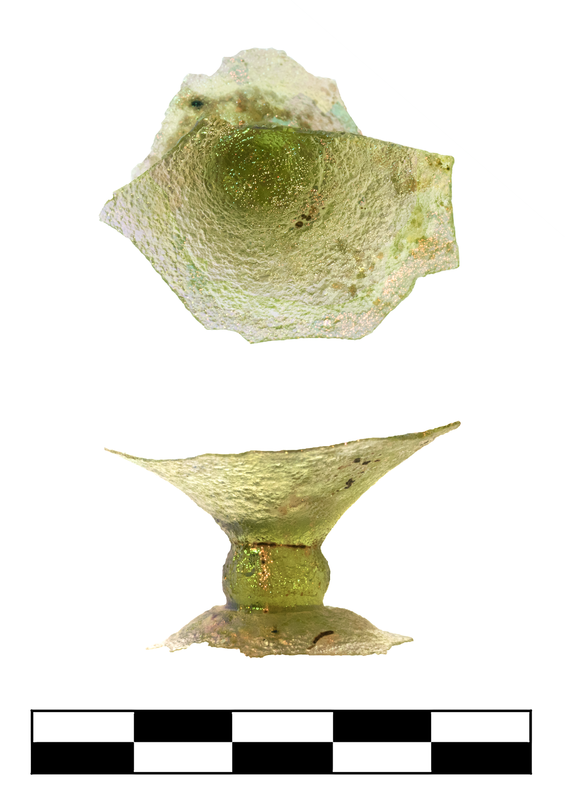 Domed, undulating (bell-shaped?) foot pressed up into solid, oblate spherical bulb or knop made from second gather, which was pressed up into somewhat conical lower body made from third gather. Pontil wad and scar in top of foot (0.010 m Diam). p.H. 0.023, Diam. top stem 0.010 m.
Fr. b: Window glass. Flat to slightly turned up on one end. Striations on one side from production. max. p.dim. 0.042, Th. 0.002 m.
Fr. 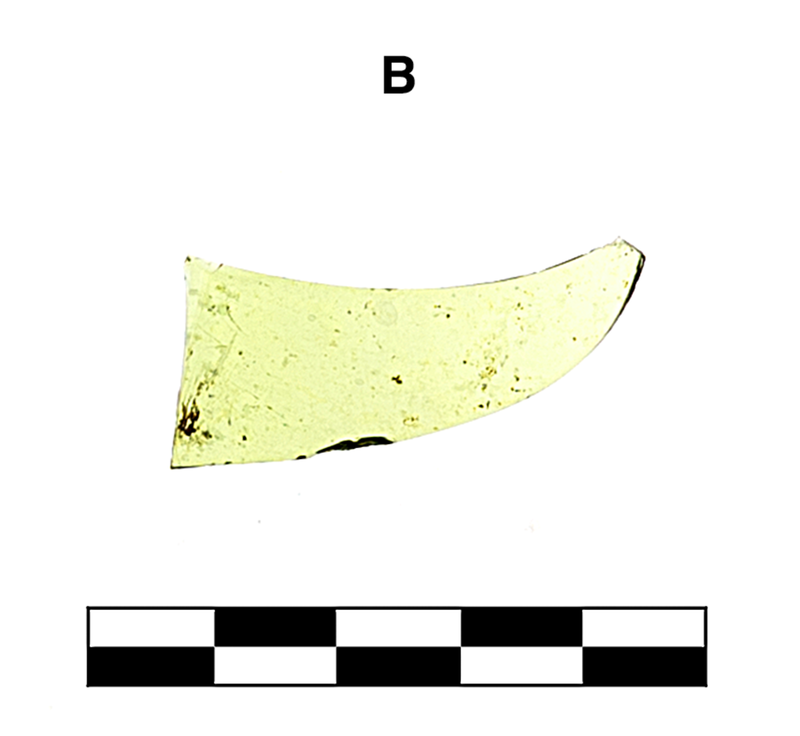 a: Light green colorless (PMS 7492C), translucent. Many pinprick bubbles. Fr. b: Light green glass (PMS 358C), semitransparent. Numerous small, spherical and rare elongated bubbles aligned diagonally. 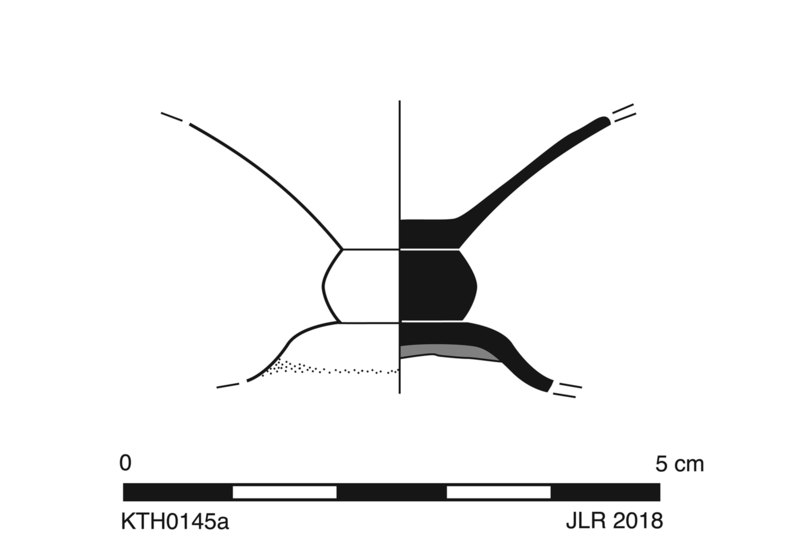 One fragment (a) preserves stem, upperbase and roughly one third of cup. Slight, sparse iridescence, pitting, and encrustation. Second, unrelated fragment (b): slight patches of abrasion.